Sacred design to journey to the inner realms of your spirit. 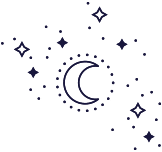 Made for the magic seekers who know there’s more beyond what meets the eye, who sense the guiding energies around them, and who dream of living a soul fuelled life. The cards in this deck offer a little reminder of our inner wisdom, imagination and intuition. The cards in this deck offer a little reminder of our inner wisdom, imagination and intuition. After an incredibly successful Kickstarter Campaign, the Inner Star Oracle in now available to purchase! My intention in creating this deck is that you find a gentle way of further unlocking parts of your spirit, your inner sage. To help you in trusting that inner wisdom, serving as a tool to receive guidance from your guides, and to help you on the path of healing your connection to your self. 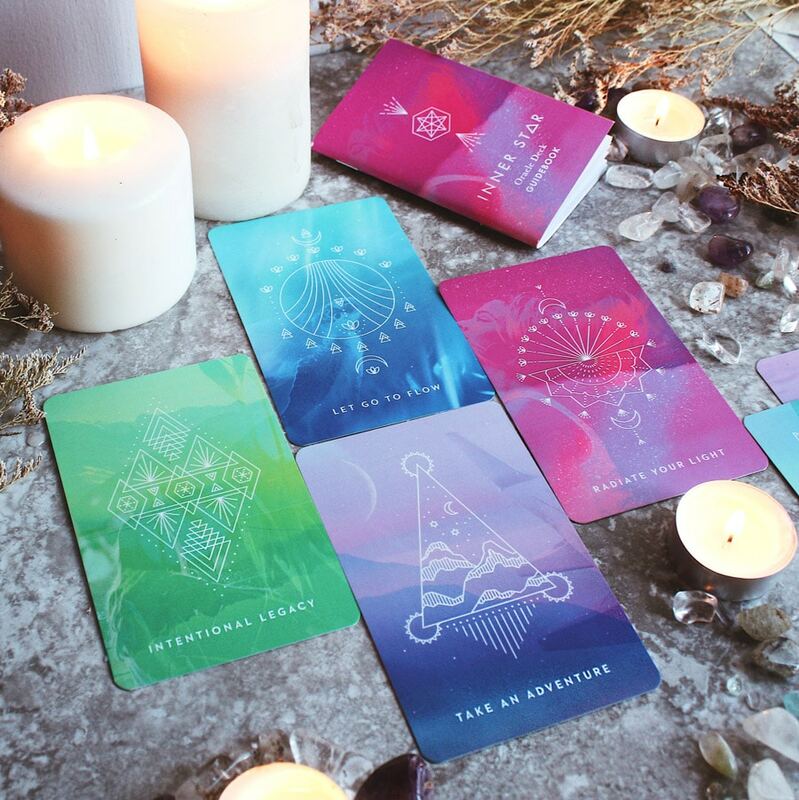 A unique 55 card oracle deck + guidebook featuring sacred symbols offering a reminder of our inner wisdom, imagination and intuition. 55 Cards with round corners on thick matt coated card stock. Colourful design on the front and back. Card Size: 80x125mm – a little larger than your standard playing card. 68 Page Guidebook – with each card meaning and affirmation. Rigid Lid and Base style box – a beautiful way to store your cards. Are you a shop owner, coach or tarot reader?